This easy citrus salad makes a delightful summer side dish. 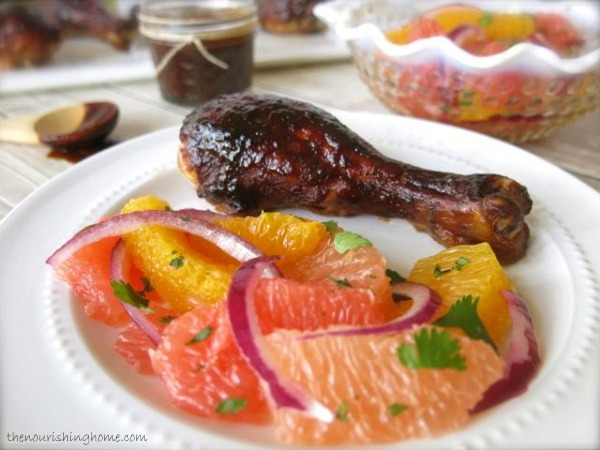 With the sweet and tangy combination of fresh grapefruit and oranges, it’s an especially refreshing accompaniment to the bold flavors of barbecue. 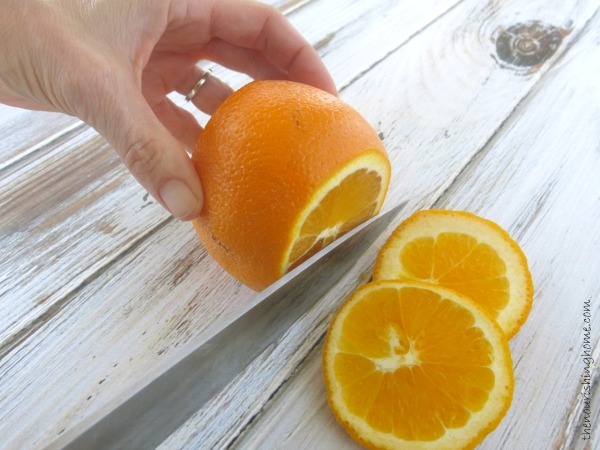 If you’re new to sectioning citrus, it’s really a very simple process. I’m happy to show you how. Just be sure to use a sharp chef’s knife. 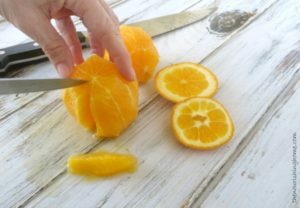 A good quality knife makes all the difference in making tasks like chopping, dicing and mincing – or in this case sectioning citrus – a breeze! Using a sharp chef’s knife, carefully trim the ends off of the citrus fruit. Place the citrus fruit on its now flat bottom. 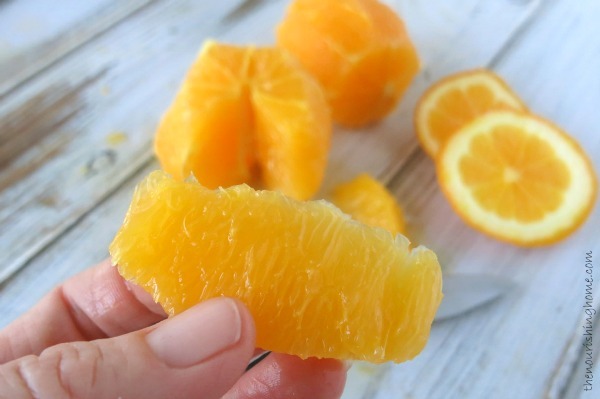 Then, carefully trim the peel from the fruit by following the natural curve of the fruit. 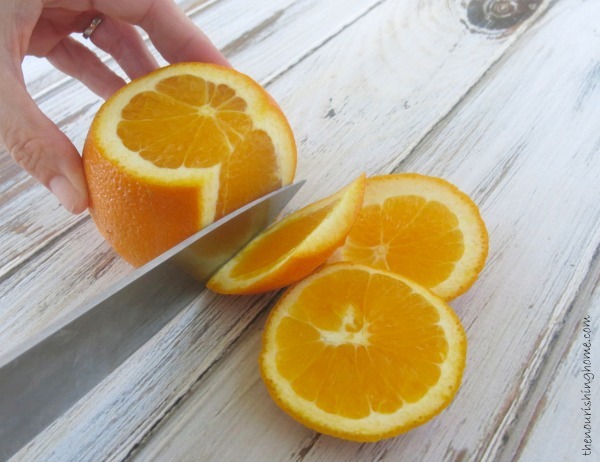 Be sure to start at the top and slightly angle your knife so you’re trimming only the peel, sparing as much of the fruit as possible. Once the peel is removed, you can switch to a sharp pairing knife, if preferred. Then carefully cut each section of the citrus fruit out so that no membrane remains. Citrus segments are not only wonderful for making gorgeous fruit salads, but can also be used to create delicious yogurt parfaits and many other healthy treats. P.S. Got leftovers? Simply toss any leftover citrus salad with your favorite fresh mesculn greens for a beautiful summer salad. Looking for the perfect BBQ sauce? Check out my tips for foolproof BBQ chicken. 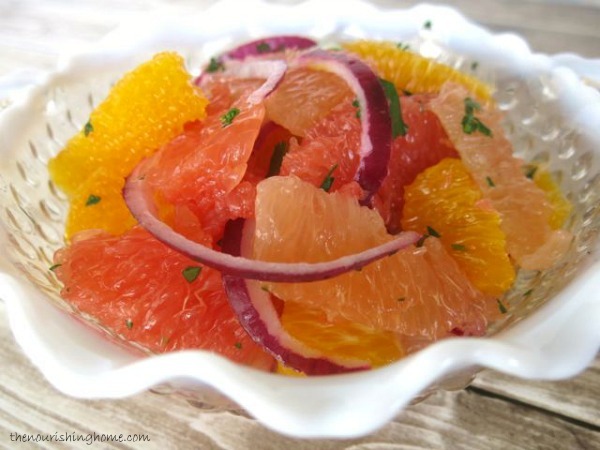 Place citrus segments, red onion and cilantro into a large bowl. In a small a small bowl, whisk together the olive oil, lime zest, lime juice, honey and salt. Pour the lime oil mixture over the citrus mixture and gently toss to combine. Serve with Foolproof BBQ Chicken, or place on top of a bed of mesclun greens for a delicious summer salad! Oh this looks so refreshingly appetizing! What a terrific idea to add red onions and cilantro! I will be making this soon.